Season eight will also go beyond George R. R. Martin’s A Song of Ice and Fire series so viewers don’t know what’s to come. In recent interviews, Martin has expressed that he’s felt conflicted about the show surpassing his books. He’s a notoriously slow writer: the last published book was fifth in the series and came out in 2011. That means readers have been waiting for eight years for the next installment, and many predicted that it wouldn’t come out in time for the end of the show. You can read more about Martin’s response to the final season and his famous series here. Martin is, however, writing prequels to the series, and the first one came out last November entitled FIRE & BLOOD: 300 Years Before A Game of Thrones (A Targaryen History). Click here to read our review. If one thing is certain, it’s that “Game of Thrones” fans across the board, both of the books and the show, have patience. Another one of my very favorite shows also returns this month: “Killing Eve.” The second season of the hit show will premiere this coming Sunday, April 7th at 8pm ET on BBC America. Starring Sandra Oh, who won the Golden Globe Award for Best Performance by an Actress in a Television Series - Drama for her role as Eve Polastri, the show is based on Luke Jennings' Codename Villanelle novella series. Eve, an MI6 (British Secret Intelligence Service) investigator, is on the hunt for a psychotic female assassin, but it’s so much more than just your regular cat-and-mouse chase. The woman power theme is super strong, the fashion is next to godliness and the story is quick-paced, which will keep you on your toes the entire time. I’ve mentioned it before a handful of times, but now is really the time to jump on the bandwagon, if you haven’t already. You can catch all of season one on Hulu, and I promise, you’ll binge it really quick...it’s THAT good. April is a hot month for some great book club picks and news! Reese Witherspoon’s Hello Sunshine book club just announced THE NIGHT TIGER by Yangsze Choo as their selection for the month. Set in 1930s colonial Malaysia, the book is perfect for fans of Isabel Allende and Min Jin Lee. Read our review here. Well-Read Black Girl founder Glory Edim selected a book all about Beyoncé for the Bustle Book Club. QUEEN BEY: A Celebration of the Power and Creativity of Beyoncé Knowles-Carter edited by Veronica Chambers, which has been deemed “The Ultimate Beyoncé Collectible,” is a look into all the incredible things that Beyoncé has accomplished in the music industry, in her personal life and beyond. It’s no secret that I’m a huge fan...hello, fellow Beyhivers...so this is particularly exciting. It’s also incredibly timely considering she announced her new collab with Adidas just yesterday. Rumors are she’s working on some new music (yasssss!) and a Netflix special about her Coachella performance last year. This is the absolute perfect pick for April to get you buzzing about her alleged upcoming projects and remind you why she’s such an inspirational boss b$%@*! Last but not least, one of the most famous book clubs of all, Oprah’s Book Club, is getting a revamp with tech giant Apple. There isn’t too much information out about it yet, but Oprah never does anything small scale, so expect this to be real grand. The relaunch will be through Apple’s TV+ platform, so I think it’s safe to say we should expect a lot of video content. You can read more about it here, and you can bet I’ll be giving updates as new information hits the airwaves. 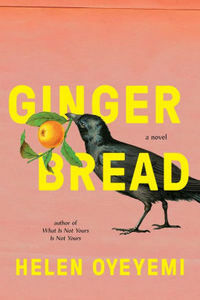 GINGERBREAD by Helen Oyeyemi is the story of Perdita Lee and her mother, Harriet, who might not be as normal as you think. For one thing, they share a gold-painted, seventh-floor walk-up apartment with some surprisingly verbal vegetation. And then there's the gingerbread they make. Londoners may find themselves able to take or leave it, but it's very popular in Druhástrana, the far-away (or, according to many sources, non-existent) land of Harriet Lee's early youth. The world's truest lover of the Lee family gingerbread, however, is Harriet's charismatic childhood friend, Gretel Kercheval --- a figure who seems to have had a hand in everything (good or bad) that has happened to Harriet since they met. Decades later, when teenage Perdita sets out to find her mother's long-lost friend, it prompts a new telling of Harriet's story. 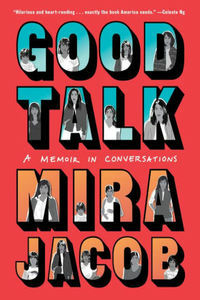 Like many six-year-olds, Mira Jacob’s half-Jewish, half-Indian son, Z, has questions about everything in GOOD TALK: A Memoir in Conversations by Mira Jacob. At first they are innocuous enough, but as tensions from the 2016 election spread from the media into his own family, they become much, much more complicated. Trying to answer him honestly, Mira has to think back to where she’s gotten her own answers: her most formative conversations about race, color, sexuality and, of course, love. 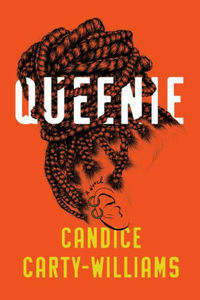 In QUEENIE by Candice Carty-Williams, Queenie Jenkins is a 25-year-old Jamaican British woman living in London, straddling two cultures and slotting neatly into neither. She works at a national newspaper, where she’s constantly forced to compare herself to her white middle-class peers. After a messy breakup from her long-term white boyfriend, Queenie seeks comfort in all the wrong places, including several hazardous men who do a good job of occupying brain space and a bad job of affirming self-worth. As Queenie careens from one questionable decision to another, she finds herself wondering, “What are you doing? Why are you doing it? Who do you want to be?” --- all of the questions today’s woman must face in a world trying to answer them for her. 1. Spring cleaning: Does it spark joy? 2. Frances McDormand, Denzel Washington, the Coen brothers and an adaptation of MACBETH? Oh my. We Are at 50+% of Our Goal! The man calling himself “Mr. Right Now” in his online profile knows that his perfect hair, winning smile and charming banter put women at ease, silencing any doubts they might have about going back to his apartment. There, he has a special evening all planned out: steaks, wine, candlelight…and, by the end of the night, pain and a slow, agonizing death. Driven to desperation, a young woman, her cousin, her best friend and her mother all decide to try their hand at online dating. They each download an app, hoping to right-swipe their way to love and happiness. But one of them unwittingly makes a date with the killer, starting the clock on a race to save her life. Reviewed by Ray Palen. Doug Brock hasn't had it easy since getting shot in the line of duty as a New Jersey state police officer. Between the amnesia and having to solve two murder cases, it hasn't been the most restful recovery. But now an old case of his has resurfaced, and it’s up to him to retrace his steps --- steps he can’t remember --- to solve it. Eighteen months ago, Walter Brookings was shot through the heart. With no clear motive and no similar murders, the investigation stalled and became a cold case. When another man is murdered in the same fashion and the ballistics come back as a match, Doug begins to reinvestigate and starts to question his own actions from the previous investigation. Reviewed by Stuart Shiffman. Following a leave of absence, Assistant DA Alexandra Cooper meets Lucy, a young woman who testified years earlier at a landmark federal trial and now reveals that she was sexually assaulted by a prominent official during that time. Yet Lucy's isn't the only secret Alex must uncover, with rumors swirling about one colleague's abusive conduct behind closed doors and another's violent, mysterious collapse. As the seemingly disparate cases of her client, adversary and friend start to intertwine, Alex, along with NYPD detectives Mike Chapman and Mercer Wallace, finds herself in uncharted territory within Manhattan's Rockefeller University, a premier research institute, hospital and cornerstone of higher learning. Reviewed by Roz Shea. The inimitable --- some might say incorrigible --- Frank Widdicombe is suffering from a deep depression. Or so his wife, Carol, believes. But Carol is convinced that their new island home --- Willowbrook Manor on the Puget Sound --- is just the thing to cheer her husband up. And so begins a whirlwind summer as their house becomes the epicenter of multiple social dramas involving the family, their friends and a host of new acquaintances. When this alternately bumbling and clever cast of characters comes together, Willowbrook transforms into a circus of uncovered secrets, preposterous misunderstandings and irrepressible passions. Reviewed by Eileen Zimmerman Nicol. Life is precious and precarious on the islands of Belene. Besieged by a capricious ocean full of malicious spirits, the people of the islands seek joy where they can. Mayara, one of the island’s fearless oyster divers, has found happiness in love. But on the day of her wedding to the artist Kelo, a spirit-driven storm hits the island with deadly force. To save her loved ones, Mayara reveals a dangerous secret: she has the power to control the spirits. When the storm ends, she is taken into custody by the queen’s soldiers and imprisoned with other women like her. Whoever survives the Island of Testing will be declared heirs to the queen. But no matter if she wins or loses, Mayara knows that the life she dreamed of is gone. Reviewed by Pamela Kramer. Hap and Leonard are an unlikely pair, but they're the closest friend either of them has in the world. After years of crime-solving companionship, something has changed: Hap, recently married to their P.I. boss, Brett, is now a family man. Amidst the worst flood East Texas has seen in years, the two run across a woman who has had her tongue nearly cut out, pursued by a heavily armed pair of goons. It turns out the girl survived a mob hit, and the boss has come to clean up the mess. Hap and Leonard must save the girl and vanquish her foes before the foes get them first. With a new case to solve and a brand-new challenge to their relationship, will Hap and Leonard's friendship survive? Will they survive? Reviewed by Joe Hartlaub. Perdita Lee and her mother, Harriet, might not be as normal as you think. For one thing, they share a gold-painted, seventh-floor walk-up apartment with some surprisingly verbal vegetation. And then there's the gingerbread they make. Londoners may find themselves able to take or leave it, but it's very popular in Druhástrana, the far-away (or, according to many sources, non-existent) land of Harriet Lee's early youth. The world's truest lover of the Lee family gingerbread, however, is Harriet's charismatic childhood friend, Gretel Kercheval --- a figure who seems to have had a hand in everything (good or bad) that has happened to Harriet since they met. Decades later, when teenage Perdita sets out to find her mother's long-lost friend, it prompts a new telling of Harriet's story. Reviewed by Norah Piehl. Ever since his wife and young son died in an accident, Detective P.T. Marsh has lost the ability to see the line between smart moves and disastrous decisions. Such as when he agrees to help out a woman by confronting her abusive boyfriend. When the next morning he gets called to the scene of his newest murder case, he is stunned to arrive at the house of the very man he beat up the night before. And when the dead body of a black teenager is found in a burned-out field, P.T. realizes he might have killed the number-one suspect of this horrific crime. Amid rising racial tension and media scrutiny, P.T. uncovers something sinister at the heart of the boy's murder --- a conspiracy leading all the way back to the time of the Civil War. Reviewed by Joe Hartlaub. Like many six-year-olds, Mira Jacob’s half-Jewish, half-Indian son, Z, has questions about everything. At first they are innocuous enough, but as tensions from the 2016 election spread from the media into his own family, they become much, much more complicated. Trying to answer him honestly, Mira has to think back to where she’s gotten her own answers: her most formative conversations about race, color, sexuality and, of course, love. Reviewed by Maya Gittelman. In the quiet haven of Clearing, Oregon, four neighbors find their lives upended when they begin to see themselves in parallel realities. At first the visions are relatively benign, but they grow increasingly disturbing --- and, in some cases, frightening. When a natural disaster threatens Clearing, it becomes obvious that the visions were not what they first seemed and that the town will never be the same. Reviewed by Rebecca Munro. J is a student at a school deep in a forest far away from the rest of the world. He is one of only 26 students, all of whom think of the school’s enigmatic founder as their father. The students are being trained to be prodigies of art, science and athletics, and their life at the school is all they know --- and all they are allowed to know. But J is beginning to ask questions. What is the real purpose of this place? Why can the students never leave? And what secrets is their father hiding from them? Meanwhile, on the other side of the forest, in a school very much like J’s, a girl named K is asking the same questions. As K and J work to investigate the secrets of their two strange schools, they come to discover something even more mysterious: each other. Reviewed by Ray Palen. Larry is the secular son in a family of Orthodox Brooklyn Jews. When his father dies, it’s his responsibility to recite the Kaddish, the Jewish prayer for the dead, every day for 11 months. 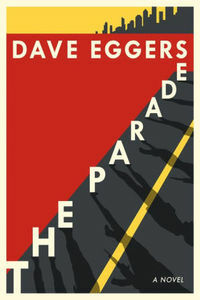 To the horror and dismay of his sister, Larry refuses --- imperiling the fate of his father’s soul. 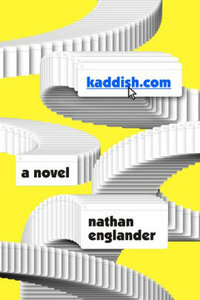 To appease her, Larry hatches an ingenious if cynical plan, hiring a stranger through a website called kaddish.com to recite the prayer and shepherd his father’s soul safely to rest. Reviewed by Sarah Rachel Egelman. Librarian Martha Storm has always found it easier to connect with books than people --- though not for lack of trying. She keeps careful lists of how to help others in her superhero-themed notebook. And yet, sometimes it feels like she’s invisible. All of that changes when a book of fairy tales arrives on her doorstep. Inside, Martha finds a dedication written to her by her best friend --- her grandmother Zelda --- who died under mysterious circumstances years earlier. When Martha discovers a clue within the book that her grandmother may still be alive, she becomes determined to discover the truth. As she delves deeper into Zelda’s past, she unwittingly reveals a family secret that will change her life forever. Reviewed by Julianne Holmquist. In 2009, Edie had New York’s social world in her thrall. Mercurial and beguiling, she was the shining star of a group of recent graduates living in a Brooklyn loft and treating New York like their playground. When Edie’s body was found near a suicide note at the end of a long, drunken night, no one could believe it. A decade later, Lindsay has come a long way from the drug-addled world of Calhoun Lofts. She has devoted best friends, a cozy apartment and a thriving career as a magazine’s head fact-checker. But when a chance reunion leads Lindsay to discover an unsettling video from that hazy night, she starts to wonder if Edie was actually murdered --- and, worse, if she herself was involved. Reviewed by Lorraine W. Shanley. In the city of Houston --- a sprawling, diverse microcosm of America --- the son of a black mother and a Latino father is coming of age. He's working at his family's restaurant, weathering his brother's blows, resenting his older sister's absence. And discovering he likes boys. Around him, others live and thrive and die in Houston's myriad neighborhoods: a young woman whose affair detonates across an apartment complex, a ragtag baseball team, a group of young hustlers, hurricane survivors, a local drug dealer who takes a Guatemalan teen under his wing, a reluctant chupacabra. Reviewed by Bianca Ambrosio. When his friend Leo Pak is arrested on suspicion of murder and armed robbery, Van Shaw journeys to a remote Oregon county to help his fellow Ranger. Van had been Leo’s sergeant when they served with the 75th Regiment in Afghanistan, and back in the States, Leo had helped Van when he needed it most. The murder victim --- the owner of a local gun shop where Leo worked part time --- was dealing in stolen heroin-grade opiates. Worse, the town has a dark history with a community of white supremacists, growing in strength and threatening to turn Mercy River into their private enclave. Van’s quest to clear Leo’s name will stir up old grudges and dark secrets beneath the surface of this secretive small town. Reviewed by Joe Hartlaub. Our love story is simple. I met a gorgeous woman. We fell in love. We had kids. We moved to the suburbs. We told each other our biggest dreams and our darkest secrets. And then we got bored. We look like a normal couple. We're your neighbors, the parents of your kid's friend, the acquaintances you keep meaning to get dinner with. We all have our secrets to keeping a marriage alive. Ours just happens to be getting away with murder. Reviewed by Joe Hartlaub. Alice gets off a bus in the middle of a snowstorm in Delphi, NY. She is fleeing an abusive relationship and desperate to protect 10-year-old Oren, a major Star Wars fan who is wise beyond his years. Though Alice is wary, Oren bonds nearly instantly with Mattie, a social worker who brings them home for the night. She has plenty of room, she says. What she doesn't say is that Oren reminds her of her little brother, who died 30 years ago at the age of 10. But Mattie isn't the only one withholding elements of the truth. Alice is keeping her own secrets. And as the snowstorm worsens around them, each woman's past will prove itself unburied, stirring up threats both within and without. Reviewed by Ray Palen. An unnamed country is leaving the darkness of a decade at war, and to commemorate the armistice, the government commissions a new road connecting two halves of the state. Two men, foreign contractors from the same company, are sent to finish the highway. While one is flighty and adventurous, wanting to experience the nightlife and people, the other wants only to do the work and go home. But both men must eventually face the absurdities of their positions, and the dire consequences of their presence. Reviewed by Harvey Freedenberg. Professor Chandra is an internationally renowned economist, divorced father of three children, and recent victim of a bicycle hit-and-run. In the moments after the accident, Professor Chandra doesn’t see his life flash before his eyes but his life’s work. He’s just narrowly missed the Nobel Prize (again), and even though he knows he should get straight back to his pie charts, his doctor has other ideas. All this work, all this success, all this stress is killing him. He needs to take a break and start enjoying himself. In short, says his doctor, he should follow his bliss. Professor Chandra doesn’t know it yet, but he’s about to embark on the journey of a lifetime. Reviewed by Amie Taylor. Queenie Jenkins is a 25-year-old Jamaican British woman living in London, straddling two cultures and slotting neatly into neither. She works at a national newspaper, where she’s constantly forced to compare herself to her white middle-class peers. After a messy breakup from her long-term white boyfriend, Queenie seeks comfort in all the wrong places, including several hazardous men who do a good job of occupying brain space and a bad job of affirming self-worth. As Queenie careens from one questionable decision to another, she finds herself wondering, “What are you doing? Why are you doing it? Who do you want to be?” --- all of the questions today’s woman must face in a world trying to answer them for her. Reviewed by Norah Piehl. You've lost your daughter. She's addicted to drugs and to an abusive boyfriend. And she's made it clear that she doesn't want to be found. Then, by chance, you see her playing guitar in Central Park. But she's not the girl you remember. This woman is living on the edge, frightened and clearly in trouble. You don't stop to think. You approach her, beg her to come home. She runs. And you do the only thing a parent can do: you follow her into a dark and dangerous world you never knew existed. Before you know it, both your family and your life are on the line. And in order to protect your daughter from the evils of that world, you must face them head on. Reviewed by Joe Hartlaub. These 15 exquisitely honed stories reveal Amy Hempel at her most compassionate and spirited, as she introduces characters, lonely and adrift, searching for connection. In “A Full-Service Shelter,” a volunteer at a dog shelter tirelessly, devotedly cares for dogs on a list to be euthanized. In “Greed,” a spurned wife examines her husband’s affair with a glamorous, older married woman. And in “Cloudland,” the longest story in the collection, a woman reckons with the choice she made as a teenager to give up her newborn infant. Quietly dazzling, these stories are replete with moments of revelation and transcendence and with Hempel’s singular, startling, inimitable sentences. Reviewed by Harvey Freedenberg. Clare Cassidy is no stranger to murder. A high school English teacher specializing in the Gothic writer R. M. Holland, she teaches a course on it every year. 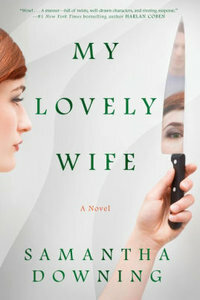 But when one of Clare’s colleagues and closest friends is found dead, with a line from Holland’s most famous story, “The Stranger,” left by her body, Clare is horrified to see her life collide with the storylines of her favorite literature. To make matters worse, the police suspect the killer is someone Clare knows. Unsure whom to trust, she turns to her closest confidant: her diary. Then one day she notices writing that isn't hers, left on the page of an old diary: Hallo Clare. You don’t know me. “The Stranger” has come to terrifying life. But can the ending be rewritten in time? Reviewed by Kate Ayers.